Another day, another hedge fund casualty. 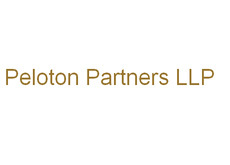 Today, the Wall Street Journal and Reuters both announced that Peloton Partners LLP would be closing its $2 billion dollar ABS fund and temporarily halting redemptions from its $1.7 billion dollar Multi-Strategy fund. If you follow the world of hedge funds, you might find yourself saying right now .. "Huh? Didn't Peloton Partners have a massive year in 2007?" You are correct. Peloton did have an unbelievable year in 2007 as their ABS fund turned in a gain of 87%, making investors in the fund and co-founders Ron Beller and Geoffrey Grant extremely rich in the process. Peloton profited from the weakening in the subprime lending market. Peloton was the toast of the hedge fund world just a few months ago - where did it all go wrong? Two things conspired to take down the fund according to the WSJ: a quick and sudden drop in the market value of highly rated mortgage securities (in which the fund had invested), and a move by banks to significantly tighten margin lending requirements for hedge funds. Peloton was highly leveraged, and banks such as UBS and Deutsche Bank started demanding more collateral as the value of Peloton's investments fell. According to the WSJ, Peloton had an estimated $10 billion in outstanding positions but only $2 billion in assets in the fund. Faced with an increasingly difficult situation (being forced to sell positions due to margin calls), Peloton tried to find solutions, including soliciting rival hedge funds for help. Apparently nothing came of this though, and Peloton instead decided to liquidate the positions in their ABS fund and halt redemptions in their Multi-Strategy fund. It is unknown how much of a loss ABS will report in 2008. The Multi-Strategy Fund has an estimated $700 million of its $1.7 billion in total assets invested in the ABS fund. It is too early to speculate as to whether or not Peloton will eventually shutter the Multi-Strategy Fund as well. Peloton is a London-based hedge fund.